This page provides the forms to join the club; these are the membership application form and standing order instructions. 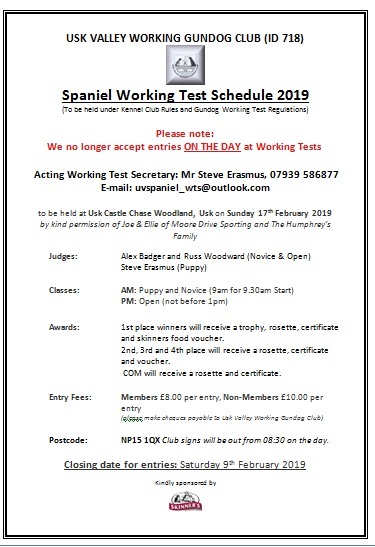 You can also download the entry forms for our various events and view our conditions of entry. The General Data Protection Regulation becomes law on Friday 25th May 2018 with it's main purpose to protect individual's personal data and strengthen the rights and privacy of residents across the EU. To reassure you, this does not mean that we are changing which data we collect from you or how we use this information. We hope that you would like to continue receiving news and updates from us as a Club, however, if you change your mind at a later date, you can always contact our membership secretary and asked to be removed from the list. 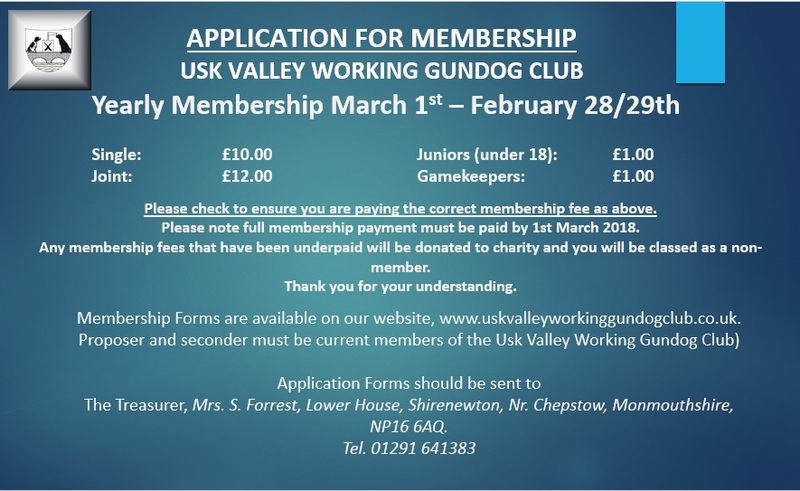 Usk Valley Working Gundog Committee. These forms are in ADOBE PDF format and you need to CLICK HERE to install it so that you can download the forms. Please ensure you have Adobe Reader installed on your computer.